The following article is sponsored by Liberty HealthShare. With the first Midterm Elections of the Trump presidency behind us, several key issues appear poised to take center stage once the new Congress is seated in January. These issues range from immigration to taxes, but the one issue that many Americans hold as most relevant to their daily lives is the issue of healthcare. While on the surface healthcare can often be a political issue, in reality, people on both sides of the political spectrum are reaching for the same thing, although often in very different ways. What people on both sides want is an affordable way to get quality healthcare for themselves and their families. Both Republicans and Democrats have worked, in their own ways, to lower the price of healthcare and make it accessible to more people. Despite these efforts, the cost of healthcare in the United States continues to rise. While Republicans and Democrats may disagree on the best solution to the critical issue, one thing is clear to supporters of both parties: Costs are too high. Insurance companies try to convince Americans that they can live without worrying about how they’ll pay for their medical bills. However, if you’ve ever been in one of these programs, you know that when you get sick or injured, you have to worry not only about the care you need, but also how you’re going to pay for it. Whether it’s high out-of-pocket expenses or the company not paying for the care you need, often the consumer is stuck footing the bill, despite the high monthly payments they make. 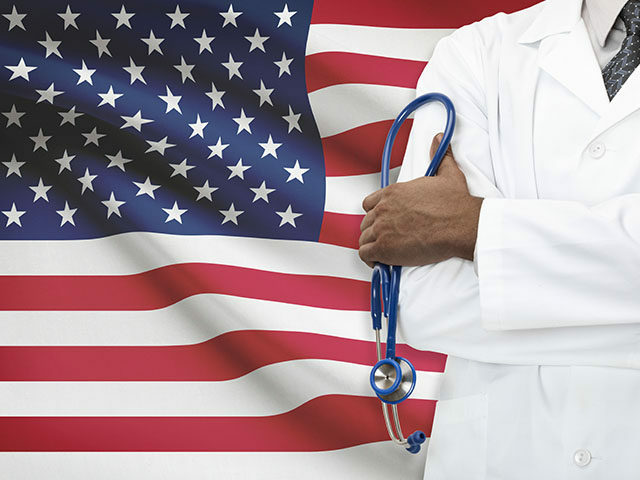 Regardless of which party had taken control of Congress following the Midterm Elections, we are almost guaranteed to see the healthcare issue take center stage in the coming months and years. As we know from experience with this issue, and just based on how government operates in our country, the fight to improve Americans’ healthcare is one that may take years to complete if it ever gets done at all. If you’re like most Americans who simply can’t afford to sit idly by while Congress fights back and forth, maybe it’s time to consider a different way. One method of paying for healthcare that many Americans have found to be quite advantageous is known as healthcare sharing. This method can be an affordable way to pay for healthcare while also putting them back in control of their healthcare. Healthcare sharing allows members to choose the doctor they want to see, not a doctor they are required to see. Healthcare sharing is also focusing on keeping costs down for their members, while also ensuring that members know where their money is going. One healthcare sharing organization that is currently helping more than 250,000 members nationwide, from all political parties, is Liberty HealthShare. As a non-profit organization, Liberty HealthShare is focused not on increasing profits, but rather on keeping costs down for their members. This allows them to offer programs for as low as $199 per month for individuals and $529 for an entire family, which are hard prices to beat when searching for a way to pay for your healthcare. Thanks to an exemption written into the Affordable Care Act, healthcare sharing organizations such as Liberty HealthShare are not bound by regulations placed upon programs offered on the Exchange. Along those lines, programs offered by Liberty HealthShare have no provider networks, meaning members can choose to visit any doctor or hospital they feel is the best fit for them. This is just one of the ways healthcare sharing organizations return freedom to the consumers and could loom large depending on how the new, incoming Congress decides to handle the healthcare issue. Regardless of which party took control of the House and the Senate, the healthcare debate was bound to continue. Congress will almost certainly propose a new plan to provide Americans with an affordable way to pay for their healthcare. However, for Americans who are members of healthcare sharing organizations, an affordable way to pay for healthcare already exists. Not only is healthcare sharing an affordable way to pay for healthcare, but it also offers freedom to consumers. If affordability and freedom sounds like the type of healthcare program for you, check out Liberty HealthShare. They’re already providing an effective healthcare solution to over a quarter of a million Americans, and they can do the same for you; no legislation needed.